When I inventoried our chest freezer in the basement back in June, I found that we still had, um, kind of a lot of food left from last year. Of course, having food on hand is a good thing (that’s why we spend so much time and effort preserving it in the first place, right?) so I’m not complaining…..but still, I knew I’d need to make room for new produce coming in this summer. So, over the past couple of months I’ve been trying to use up as much of what is in our freezer as I can. 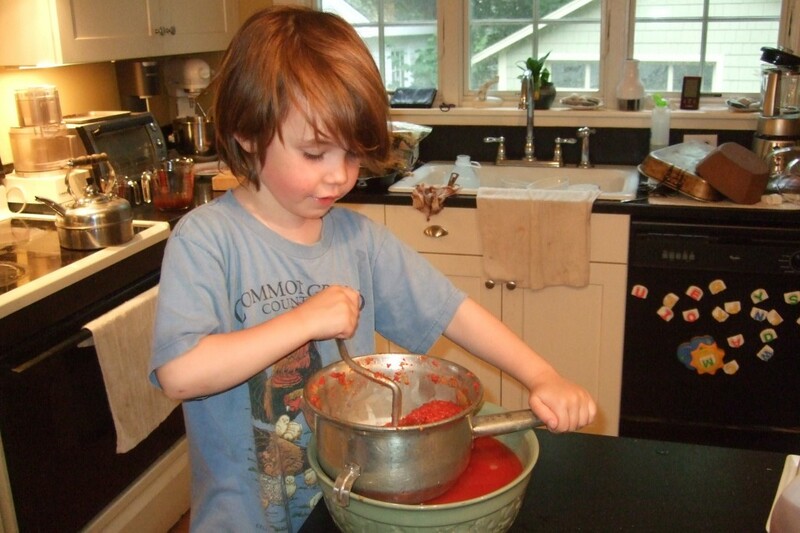 Last season I bought in bulk and put up a crazy amount of tomatoes–about 150 pounds. I canned most of them, and froze some, and yes, we still have some of them left in the freezer. (Ok, I admit, I got a little carried away.) So, what to do with extra, frozen tomatoes? Make ketchup! I’ve made a couple of different batches this summer, and we’ve really been enjoying it—especially with all the summertime grilling going on. Of course, fresh tomatoes work equally as well for ketchup (better, probably), so if you’re not trying to dig out your freezer like I am, go with fresh. After all, tomato season is just about here (and I’m sure for some of you in warmer places it’s already in full swing). We got our first lone, ripe, red tomato the other day, and now we’re just waiting for all the other green ones to turn……yes, I do believe that the glorious tomato onslaught is almost upon us! I hope you enjoy the bounty this season…..as for me, I plan to eat tomatoes incessantly for the next month. And if by some crazy chance I get tired of them……well, then I’ll just make more ketchup! *Wash and rinse pint jars, lids, and screw bands. Set screw bands aside until ready to use. Place jars in hot water bath canner, fill at least 2/3 of the way full with water, and bring to a boil. Sterilize jars for 10 minutes, then turn down heat and let jars stand in hot water until ready to use. Place lids in water in a small pan, bring to a low simmer, and hold there until ready to use. 1.) Wash, remove cores, and quarter tomatoes. 2.) Peel and dice onions. 3.) Place tomatoes and diced onions in a large pot. Gently crush and stir tomatoes while bringing to a boil. Reduce heat and simmer for 30 minutes. 4.) While tomatoes are cooking, pour vinegar into a separate sauce pan. Add crushed cinnamon sticks, allspice, cloves, celery seed, peppercorns, and hot pepper to the vinegar. (If you prefer, you can place the spices in a spice bag and put the spice bag in the vinegar). Bring vinegar and spices to a boil, remove from heat, and allow to sit for 25-30 minutes. 5.) 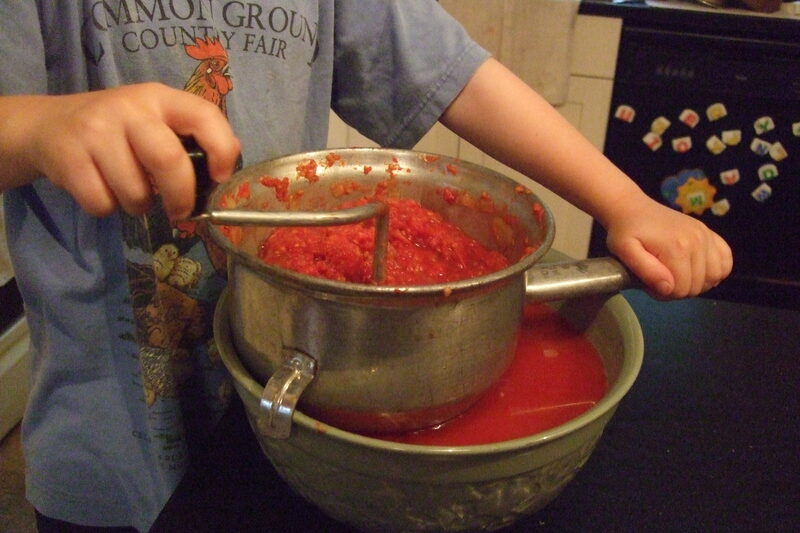 Put the tomato mixture through a food mill and discard the solids. Rinse the pot, then return the tomato mixture to the pot. 7.) Add the vinegar to the tomato mixture. Add the sugar and salt as well. Bring to a boil, reduce heat, and simmer, uncovered, until the ketchup has cooked down and is thick. (You know it’s thick enough when the ketchup mounds up when you scoop a spoonful of it). This can take anywhere from 45 minutes to 1.5 hours, depending on how liquid-y the tomatoes were to begin with. Stir the ketchup frequently as it’s cooking to prevent sticking. 8.) 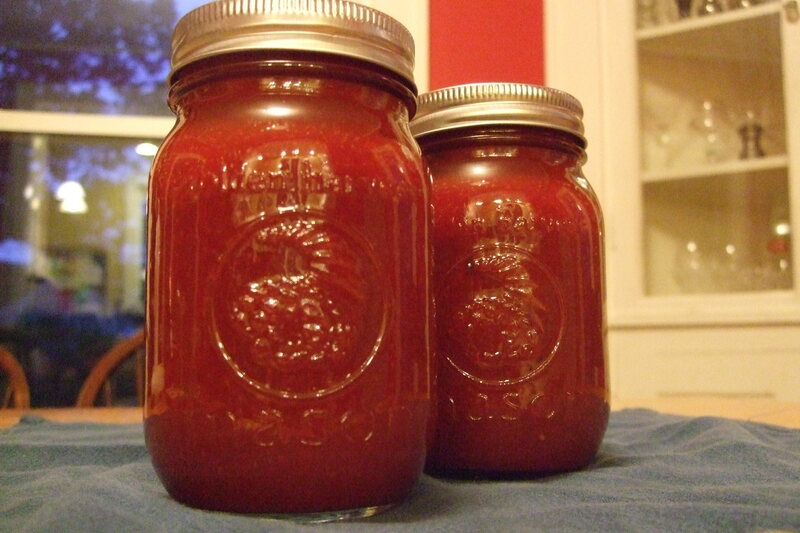 Remove hot jars from canner and fill jars with ketchup, leaving ¼ inch of headspace. Remove trapped air bubbles, wipe rims with a damp cloth, and put on lids and screw bands. 10.) Turn off heat and allow canner and jars to sit for 5 minutes. 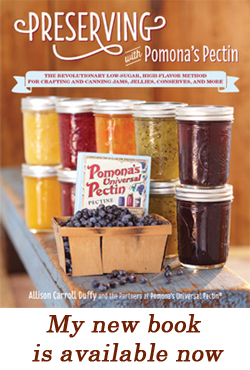 Then, remove jars from canner. 11.) 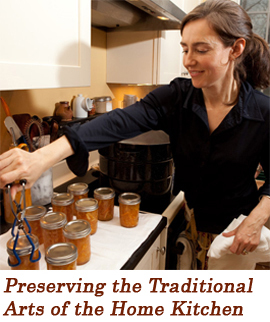 Allow jars to cool undisturbed for 12-24 hours. Then, confirm that jars have sealed. Enjoy your ketchup! Or, store properly for later use.